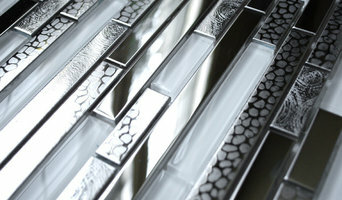 Eden Mosaic Tile is an importer and online retailer of specialty metal mosaic tile. We focus on unique metal mosaic, stainless steel mosaic and aluminum mosaic tile for residential and commercial backsplash, wall accents and fireplace surround wall applications. Create the stainless steel backsplash, aluminum backsplash or copper backsplash of your dreams with our unique mosaic tile designs. Our company is based on the belief that our customer's needs are of the utmost importance. Our entire team at Naples Kitchen & Design is committed to meeting those needs. As a result, a high percentage of our business is from repeat customers and referrals. We would welcome the opportunity to earn your trust and deliver you the best product and service in the industry. Herbeau is pleased to present Kitchen, Bathroom, Powder Room Couture®, Winckelmans Tiles and Line Art bathroom furniture. Handcrafted in France since 1857, Herbeau Couture® faucets, fixtures and design accessories are available in select kitchen and bath showrooms throughout the United States and Canada. Winckelmans Tiles is a worldwide leader in the production of ceramic and vitrified tiles for residential and commercial use with over 5,000 standard tile designs including Victorian, checkerboard, encaustic, mosaics and contemporary. Please call 800.547.1608 or email info@Herbeau.com to receive a complementary brochure. THE HOME IMPROVEMENT STORE, INC. (THIS), is a family owned and operated business specializing in residential remodeling in the Southwest Florida area. We hold a Certified General Contractor license (CGC 061566) in the State of Florida, which allows us to cover a wide spectrum of remodeling/construction possibilities. THE HOME IMPROVEMENT STORE, INC. was established in June of 1996. Before the opening of our showroom, we were Tom Youts Construction Co. Tom has been doing residential remodeling since 1974, first in the Chicago land area, then in the Fort Myers area since 1986. Tom has over 40 years experience and is joined in business with his wife and their three children. THE HOME IMPROVEMENT STORE, INC. has been dedicated to providing our Customers with the finest building and remodeling products available as well as exceptional home improvement contracting services. We service single-family homes as well as condominiums and mobile homes. We pride ourselves in providing exceptional quality products and a 3-year warranty on all of our labor services. Most of our installation services are done with in-house employees reducing the need for Subcontractors. Some services, however, do require the use of Subcontractors. THE HOME IMPROVEMENT STORE, INC. offers all types of home remodeling and specializes in kitchen and bathroom renovations as well as additions to your home. We provide service for residential clients and utilize only the most trusted brands in our remodeling services. For all of your remodeling needs, contact: THE HOME IMPROVEMENT STORE, INC.
we ARE A DISTRIBUTOR for ReFlexions LED lighted mirror systems RELEXIONS USES A COMPLETELY UNIQUE DESIGN FOR LIGHTING THE MIRROR WHICH MINIMIZES GLARE AND LIGHTS THE FACE 360DEGREES WITHOUT HEAT OR INTENSITY, THE LIGHTING COLOR TEMPERATURE CAN BE ADJUSTED FROM CANDLELIGHT TO BRIGHT SUNLIGHT. THE UNIQUELY DESIGNED MIRROR CAN BE CUSTOM FRAMED FOR ANY STYLE DECOR. 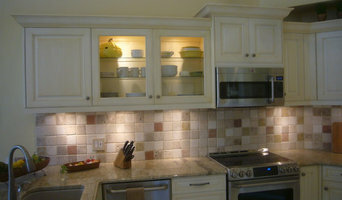 EJH Cabinets and Construction, Inc. 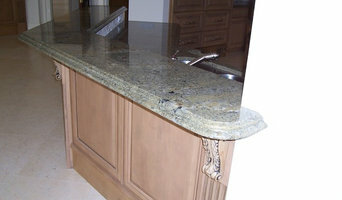 Custom cabinetry, Custom finishing, Built in's, Closet systems, Bathrooms, New construction, Remodel, Everything and anything. Kitchen and Bath designer and manufacturer's representative catering to the custom residential market for new construction and remodeling. Representing North American Cabinets and Bishop Cabinets. Use the Houzz Professionals listings to find Naples Park, FL kitchen and bath accessory vendors. Don’t rule out asking a kitchen manufacturer’s design team for help, too. Skills often can be overlapped to save you time and money! Here are some related professionals and vendors to complement the work of kitchen & bath fixtures: Kitchen & Bath Designers, Kitchen & Bath Remodelers, Interior Designers & Decorators, Cabinets & Cabinetry. Find kitchen and bath fixtures and accessories, plus installation experts, on Houzz. Check out Florida kitchen products and installers, and bath plumbing products and installers, on Houzz. 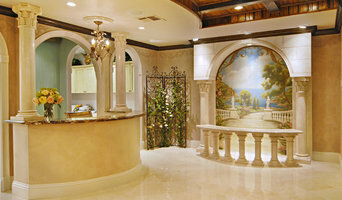 You can also look through project photos provided by Naples Park, FL renovators, retailers and designers.